Today's cigar up for review is one I had zero knowledge about until that last hours I was in Las Vegas at the IPCPR tradeshow. Our team from Cigar Explorer stopped by the round bar in the Venetian hotel for one last drink before heading to the airport for our redeye flight home and we ran into Brian Chinnock (owner of Chinnock Cellars) and Berta (better known as The Guayabera Lady). Brian handed me a sample of his cigar and asked me to tell him what I thought of it. Some reseach on the cigar taken from Chinnock Cellars webpage: Chinnock Cellars Cigars are producted by Master Blender - Willy Herrera. All of their cigars are hand crafted in the USA by “Level 9” rollers all of whom have worked for world-renowned factories such as Romeo y Julieta®, Corona®, and Partagas®. Each one of my cigars are made in the traditional Cuban style of tubing the filler (entubado) and then finished off with a beautiful triple cap. Due to the high standards placed upon their rollers, my cigars are made in small quantities to ensure quality and consistency that only a boutique manufacturer can produce. Willy Herrera has been in cigar news recently with his move to Drew Estate, but well before that, he has been a highly respected person in the cigar industry. This stick has had a few weeks to get back into condition, so on with the review. My Chinnock Cellars Private Reserve was a nice looking cigar. The light brown wrapper was smooth and contained a medium amount of veins. I do like the band Chinnock Cellars is using on this cigar. It is very simple and, although the font could use a little work, the leaf logo with the "C" in the middle is nicely designed. The pre-lit aroma was sweet with a strong smell of coffee with milk. I clipped the triple cap easily and the cold draw tasted of natural tobacco with hints of dried friut. Both of these were a good thing. One thing which was not, however, was how tough the draw was. I was thinking to myself.. ugh... not another review with a stick with a difficult draw. I torched my Chinnock Cellars Private Reserve with my Xikar soft flame and the draw was very tight. I was pulling some smoke out with each draw, but it was very minimal. After recutting the cap and smoking about half an inch down into the cigar it finally freed up. It was like night and day between one puff of pure blockage to the next, which was nice and smooth. I'm not sure what that was all about, but I was very happy to have it corrected. Speaking of smooth, the flavor profile started out that way. 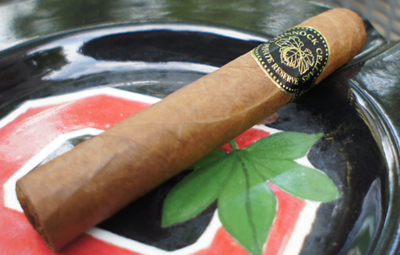 On the front of each draw there was a grassy, leathery taste, and on the finish a sweet tobacco flavor. At this point, now that the cigar was smoking well, it felt very, very mellow. The burn on the stick produced a nice black "eyeliner" effect at the burn line and the ash was bright white and solid. The strength was in the mild to medium range. 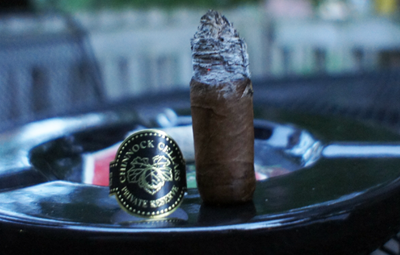 The second third of my Chinnock Cellars Private Reserve had a few flavor changes -- one was expected and the other was not. The front of each draw still had the grassy, leathery characteristics form the first third, but the finish now has some sweet honey flavors, mixing with a bitey white pepper note. I figured form the cold draw and pre-lit aroma that this cigar would have some sweetness in it, but I was not expected the white pepper. I smoke so many cigars that are strong in black pepper, it was different for me to taste this kind of flavor. 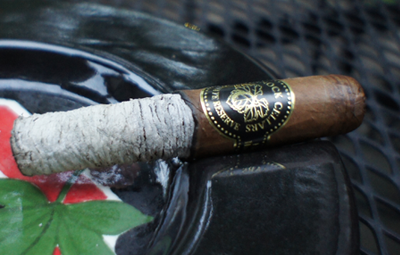 Not enough can be said about just how amazing the constuction and the ash was on this cigar. Look at thar photo...that's nuts. The strength of the stick was now firmly in the medium range. 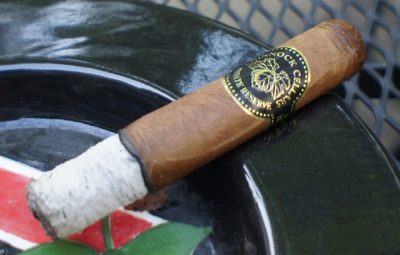 The final third of my Chinnock Cellars Private Reserve was dominated by the sweet honey flavors from the second third. The grassy leather tastes had pretty much dissipated and the white pepper was just now ever so slight on the finish. I'm not huge on really sweet cigars and this third was getting a little bit much for me, but still not enough for me to put it down early. Something to note was just how slow the final third of this cigar smoked. After getting past the rough start, this stick seemed to burn at a average or even above-average pace. The final third was much slower. I'm not sure if that had to do with the ramped up sweetness, but I found it interesting. The strength was a solid medium all the way to the nub. 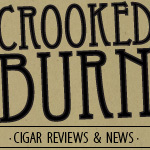 My final thoughts on the Chinnock Cellars Private Reserve? As you can see from the pictures, this was one well-constructed cigar. The beginning was a challenge with the tight draw, but once it opened up, the burn and the ash were some of the most impressive I have seen. As far as the flavors go they were very mellow and easy on the palate. This cigar does not contain the flavor profile that I tend to lean more towards as my personal favorite, but I don't think that makes this a bad cigar. More people need to give it a try. Would I buy it again? Like I said above, it's not the flavor profile that I crave, but I would pick up a few more to keep for when I want something completely different. It's always good to have a diverse stock in the humi. Would I buy a box? A box would be too many of these for me. I'd have them for years in that quantity. Which could be a good thing?